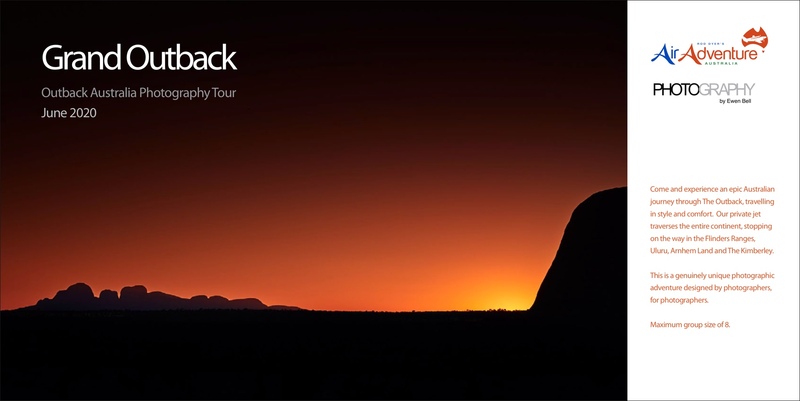 The best photo tour in the world. Get aboard our luxury private plane for 14 days of inspiration and discovery. 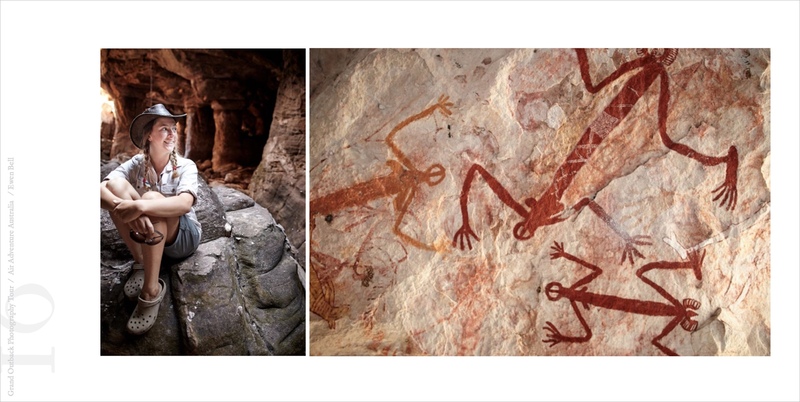 Iconic and dramatic scenery, doors-off heli shoots, wonderful locals, wild creatures and ancient rock art. 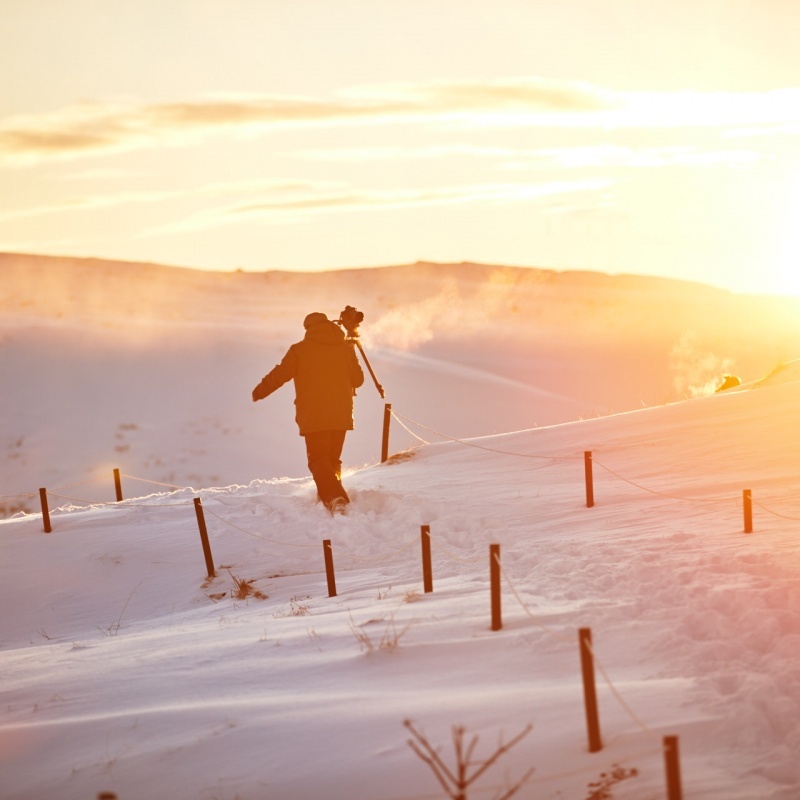 The best photo tour in the world just got a little bit better. 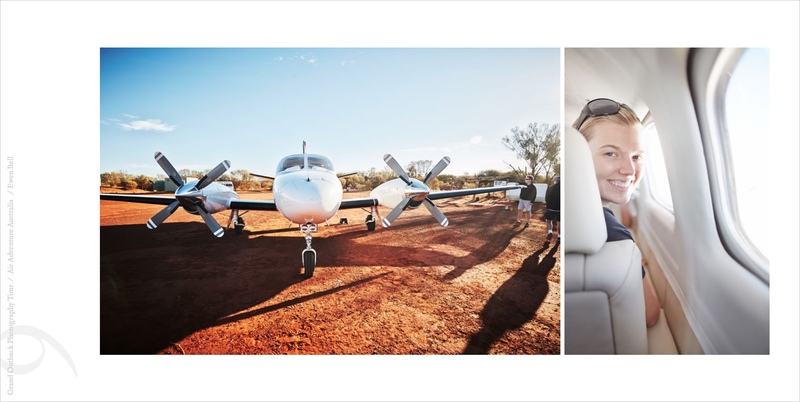 14 days of photographic inspiration and adventure, wrapped into a private plane and dedicated heli-shoots. 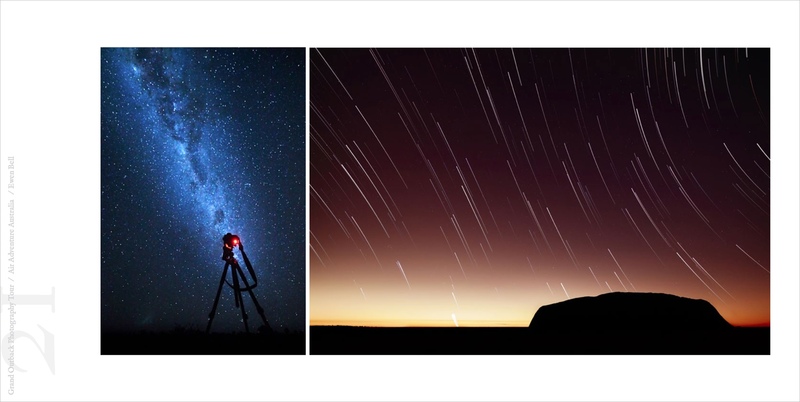 Iconic Australian landscapes, remote locations, working cattle stations, wetland wildlife shoots, Milky Way photography, Boabs in the desert and amazing indigenous rock art. All this with Ewen working alongside to help you learn the finest details of photography. If you have a few questions and want to chat to Ewen, just click the button below to complete the booking form and deposit. Once you've paid the deposit of $ your place on the tour is confirmed. If you wish to upgrade to a single room we can add that to your booking as well. 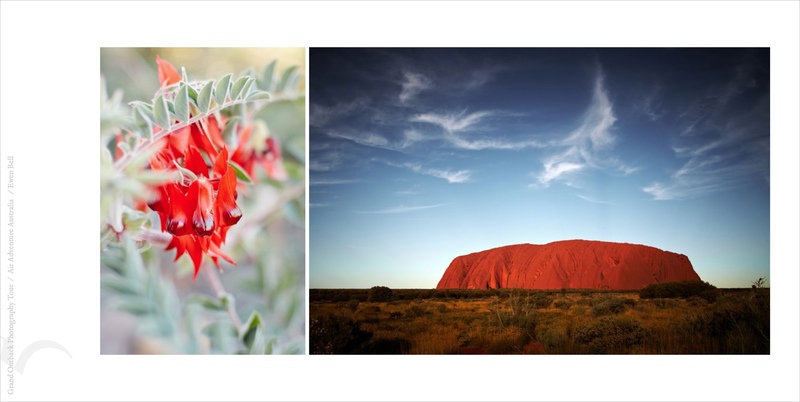 a special event for photographers landing in the Flinders Ranges, Uluru and The Kimberleys. "The Australian Outback photography tour with Ewen was the first photography tour I have been on, in fact it is the first tour of any kind that I have been on. So it was with a mixture of excitement and trepidation that I joined the group. I shouldn’t have been concerned; the tour exceeded all my expectations. The people in the group were lovely, as were those we met along the way. Going from place to place in our own plane was a wonderful luxury that allowed us to cover the massive distances without much down time and got us into places many others will never see as we made our way northwards through the middle of Australia. The accommodation was great and, with the exception of our time at Uluru, in small places (i.e. not many others around) and sometimes we ate with the owners. To my delight, I found out that Ewen shares a similar passion for great food and that was reflected in where we stayed, which was a wonderful bonus. But the 'main course' was the photography. I learned SO MUCH about my camera and about taking photos and Ewen was endlessly patient with my questions, some of which were pretty basic! He made time for everyone and there wasn't much he didn't know about any of the camera systems we were each using. He walked us through the techniques we would need for each day, including showing us images that he had taken on previous trips - a very high bar indeed! All photographers have their signature style and Ewen’s is reflected in the images on his website. I love his style, but even if your style is different, there is still much to learn. The other special feature of this tour was that Ewen made sure that we were pretty much always where 'the other people' weren't, even in Uluru, where we found ourselves shooting sunrises and stars on our own. The vast Australian landscape with its contrasts and extraordinary flora and fauna was the perfect canvass for a wonderful trip. It was great to 'get off the grid' for two weeks and indulge a passion with a wonderful tutor and lovely human being. In fact it was quite jarring to re-engage with the people and the business of our connected world at the end, but as I process the images (the many thousands of them!! ), each brings back lovely memories. If you are contemplating your first tour with Ewen, you might be like me - wondering 'should I?' My advice is just push the 'submit' button - you won't regret it. I have already signed up for my next one." "Simply Amazing... 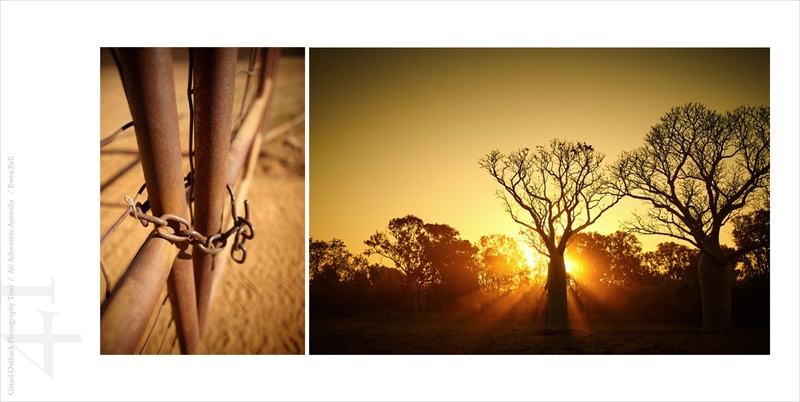 I signed up for this trip with Ewan to Outback Australia to reignite my passion for photography, which it achieved. But it did so much more. I made new friends, increased my photography skills, and got the chance to see some parts of this magnificent country from a new perspective. Ewan not only helps you with your technical skills, he curates an experience where you are overwhelmed with opportunities to take amazing pictures. The number of shoots and experiences that Ewan packed into one week was breathtaking. We could opt in for as little or as much as we liked, and as I opted in for everything I ended up a little sleep deprived, but it was worth it. Beyond all this, Ewan encouraged me with his ability to see the world from a unique perspective. He inspires you to chase the light in new and bold ways. "If you have looked at Ewen's beautiful photographs then you already know that they need no endorsement from me, they speak eloquently for themselves. 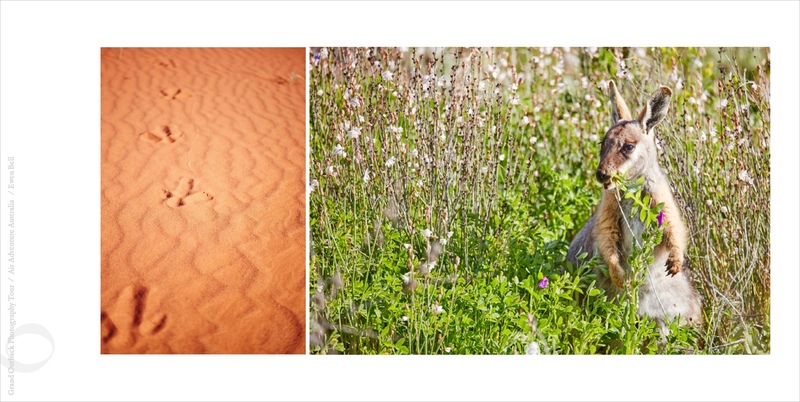 What I can share is my recent experience from Ewen's one week photography tour across the Australian outback. Over seven days, Ewen's tour gave us the opportunity to visit and photograph some of the most iconic and beautiful sites of the Australian outback, with unprecedented access to the best photography locations and the chance to meet some of the people that help make them unique. I can't imagine that you would be able to experience this with anyone else - the trip was fantastic. As important for me as a hobby photographer, was the chance over a week to watch, talk to and learn from a top-class, professional photographer as he worked through the process of making a photograph. From subject, light, composition and technique, through to technical aspects of our equipment and processing, Ewen was there to clearly and patiently explain and demonstrate, support and encourage as we took our photos. This was invaluable for me: it was particularly inspiring to see the photographs Ewen himself took at these locations while we were there with him and develop an understanding of the why, what and how of the finished photographs. We did an amazing amount in just a week but I know the things I learnt will last me the rest of my photography lifetime. Reader: If your thinking of taking a trip with Ewen, then stop thinking and just book it, you will not regret it. Instead you'll have some fantastic photographs and some amazing memories to treasure. Now, where's my camera!" 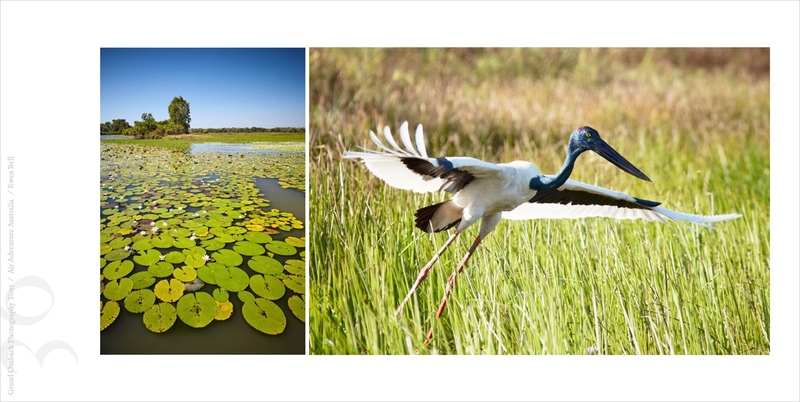 Outback Australia has always been on our plans for a photography tour; the option to add the Kimberley region and some instruction from a professional photographer like Ewen Bell, was the absolute deciding factor. What an opportunity! So Glenda and I signed up and waited for the date to roll over in the calendar. Our travel companions were a great mix of people, it was fantastic to have such a terrific crew to spend a week with in the Outback. Our “Outback Jet” was simply amazing, capable of taking off and landing almost anywhere. This aircraft travels at almost blistering speeds of around 550 kmph at anywhere up to 35,000 feet. No sitting around in the air like a flying "Kombi Wagon” - this is state of the art, get up and go jet prop at its very best! The real benefit of having Ewen as your host goes far beyond photography itself. Ewen’s relationships with the people that you engage with at every stop is absolutely amazing. 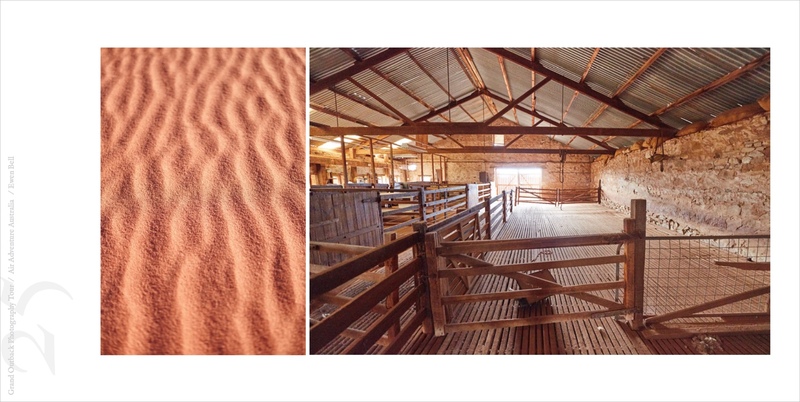 The quality of the outback characters, the staff who host your stays, the folk who attend the tables and look after your culinary delights, find you a coffee in a tin shed or indeed a decent wine in a desert setting - this really is an experience with a level of service that went way beyond our expectation. I will not give away too much detail as this trip had so many wonderful “surprises” that you really have to experience for yourself. All we can add is that we enjoyed the whole experience, especially the people that we met along the way. Our photography has really gone to another level. Thanks to all the people who made this trip possible, our fellow travelers, Ewen and his incredible entourage of outback people. Feedback from Peter & Jan G.
We recently returned from a photo tour with Ewen. We are both in the very mature age group with limited computer skills and it was such a pleasure to have an instructor who was so precise in his instructions and willing to help when I forgot (often). I learned more from Ewan than from all the photo courses that have been attended over recent years Loved the philosophy and planning that went into each photo shoot . 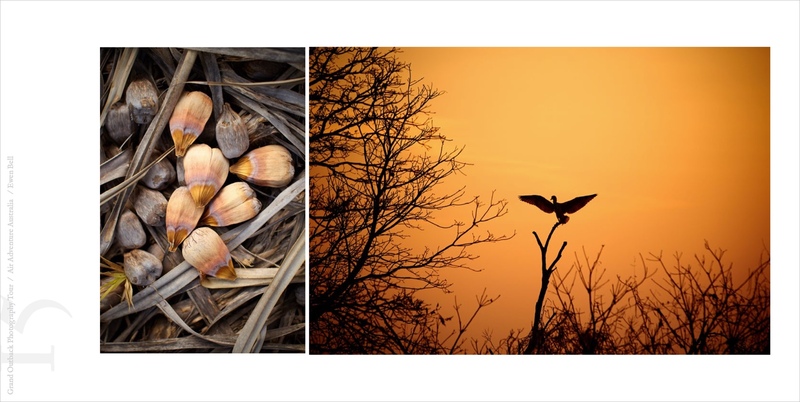 We have a great collection of photos that Jan can use for a series of paintings. 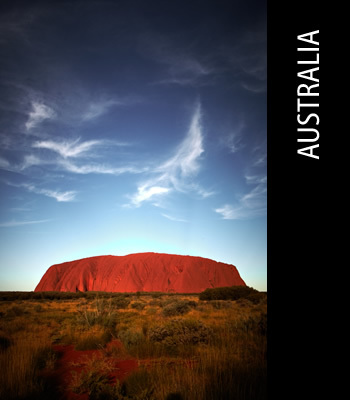 Great area of Australia, excellent choice of subject matter, marvellous tuition and a fabulous trip. Love to be able to do another. "Ewen Bell; a great photographer, tutor and mentor. On a recent photographic tour Ewen demonstrated an extensive knowledge of the photographic medium; particularly as an art form. He provided excellent tutoring to all group members keeping the technical to a simple, understandable level whilst encouraging everyone to maximise their capabilities to take great, artistic photos. We certainly finished the trip with hundreds of great shots, wonderful memories and a plethora of newly acquired photographic skills and techniques which we have subsequently put to good use. We thank Ewen for a wonderful photographic experience, his mentoring and friendship and would highly recommend anyone interested in touring with Ewen to; Go For It!" 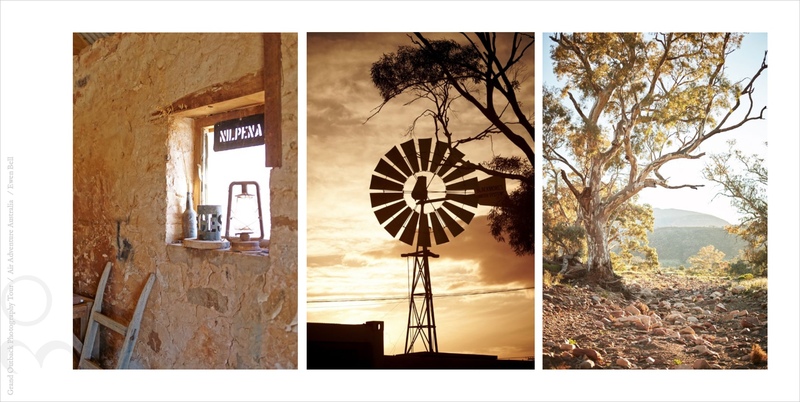 "Our Outback Photography Tour with Ewen Bell was a little gem. As expected, he has an extraordinary understanding of photography per se, but it is his willingness to share this knowledge that makes his tours so worthwhile. Add to that his warm personality, sense of humour, and unbridled enthusiasm for what he does, and you have a experience not to be missed. Thank you Ewen!" "Ever been on a magic carpet ride? Neither have I. Although, travelling on a private plane, to remote outback locations, being first and foremost a tour catering to photographers; awe-inspiring. An opportunity of a lifetime for me, this tour was above and beyond what I could have imaged. The extra special thing (besides the red drink :) ) Ewen was happy to share his experience/knowledge on photography and always made time to answer any questions. With his help, it certainly inspired me to bigger and better things in my photography. The bad note; the trip ended! If you have a passion for photography (regardless of level) you will not be disappointed by this tour. It is an adventure not to be missed. " "My husband and I had the amazing opportunity to travel on their maiden voyage in June of this year and were absolutely thrilled with the experience! There were several of us who were continually pinching ourselves throughout the two weeks to make sure that it really was more than just a dream! I can only think of two areas of photography that would not be well suited to this trip, so if you are passionate about only architecture or sports photography, you might want to stay in the city! However, I'd definitely recommend a trip like this for anyone who wants to grow in any other field of photography, no matter what level of experience they have - from novice right through to the professional level. As an instructor and mentor, Ewen was humble and very approachable."